What Does Mercedes Benz Brake Repair Cost? The better question to ask may be, “What might Mercedes-Benz brake repair done the wrong way cost?” Mercedes Benz advanced brake systems save lives. The German automaker has delivered on that promise for the past 40 years. The same company that brought you the S-Class, the first mass-production car to offer the option of a four-wheel, multi-channel, antilock-breaking system (ABS) in 1978, now features five separate models with the shortest breaking distances from 60 mph in the world today, according to industry research. Therefore, your decision on Mercedes Benz brake replacement may get easier when you consider what is at stake. In order to discover more about their safety, call one of our dealerships or get an online quote by selecting your recommended store below. The Mercedes-Benz Brake Assist System (BAS) reduces breaking distances significantly. This electronic system helps you avoid crashes by diagnosing a possible emergency. In order to achieve that, a collection of stereo cameras and radar scans the road and detects dangerous situations. If the driver is not responding appropriately, the BAS can start the full braking process. Therefore, it is important when you are considering brake replacement to keep they system maintained accurately. Mercedes Benz brakes are distinctive from offerings of other car makers because they are designed differently. Most vehicles depend only on a vacuum from the engine for braking power. However, the Mercedes Benz Brake Assist System uses a vacuum and pressurized brake fluid to generate the assisted braking. In addition, the brake fluid also drives the 4ETS traction control system. The pressurized brake fluid collects in the accumulator, a storage area that feeds the hydraulic system. So, when the BAS or 4ETS tell the car to stop, the brake fluid is released. As a result, a lever triggered by the brake pedal uses the brake fluid to assist a stop. Most crashes occur because drivers do not properly apply the brakes in time. As an illustration, a driver notices an emergency situation. In order to avoid it, the driver lightly applies pressure to the brake pedal and gradually increases it. More times than not, that driver’s reaction is not enough to prevent the accident. Dangerous driving situations that produce accidents require maximum pressure on the breaks immediately to avoid the crash. To put it differently, most crashes happens because the full power of the brake system was not given the chance to work. Mercedes Benz brake assist systems make sure that does not happen. BAS releases the pressurized brake fluid as soon as the driver contacts the brake pedal. Hence, BAS speed up the stopping power right away. It actively works to stop the car until the brake pedal is released. 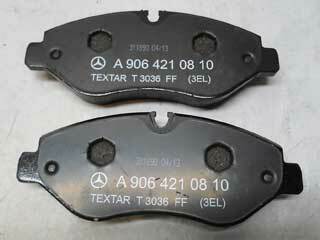 When you need Mercedes Benz brake pad replacement, you may consider cheaper parts. However, only Mercedes Benz Genuine Parts come with the engineering and optimization to work specifically for your car. In other words, you purchased a Mercedes Benz car because of the guarantees of quality and safety. So, count on Mercedes Benz brake pads to retain that quality and safety for the life of your vehicle. They are the only brake pads designed specifically to fit the Mercedes Benz brake discs. When paired together, the combination of Mercedes Benz brake pads and brake discs create just the right amount of friction. In addition, you can expect stopping distances to stay short and brake noises to be minimal. In order to get replacement brake pads, call one of our dealerships or get an online quote by selecting your recommended store below. In order to optimize your brake system, consider new Mercedes Benz brake discs when you replace your brake pads. Brake force is created by the brake pads and brake rotors. If your brake discs are badly scored or unevenly worn, you will notice poor performance and loud noises. In other words, brakes work by transferring kinetic energy into heat. Your disc brake rotors can get heated up to 700 degrees Celsius. For that reason, you need the quality of Mercedes Benz brake rotors to ensure even wear and tear. As a result, you will continue to get short stopping distances. 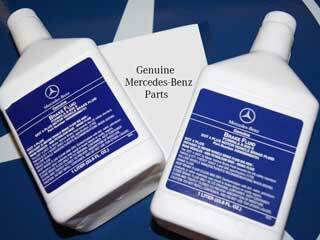 Make sure when you replace your Mercedes Benz brake fluid on a regular basis, too. In order to keep your brake system operating well, you need to replace it every 2 years of 20,000 miles, whichever comes first. 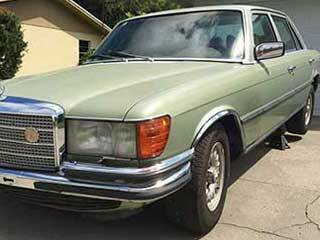 However, you need to visit Mercedes Benz technicians to assure it is done properly. The procedure requires approved pressure bleeding machines and “DOT4 plus” brake fluid. Of course, you may consider going to an independent shop, but that would be a bad idea. Your break system could be damaged if the break fluid is not evacuated under proper pressures. Furthermore, you do not want any moisture in the new brake fluid. Therefore, trust Mercedes Benz technicians with this work. So that you can get proper brake fluid replacement, call one of our dealerships or get an online quote by selecting your recommended store below. Mercedes Benz service technicians undergo certification training to gain expert knowledge on your vehicle. Could you take your car elsewhere? Sure. However, only Mercedes Benz shops have the machines designed specifically to work on your car. As a result, our technicians gain more experience than anyone else in doing Mercedes Benz repair work. When your safety is on the line, trust the best. The best or nothing – they are more than just words or a slogan to Mercedes Benz. So, if you need brake pads, brake rotors, brake fluid, brake caliper covers or anything else, trust only Mercedes Benz. Maintain the quality and safety of your car as it ages with Mercedes Benz parts and the work of Mercedes Benz technicians. To find out Mercedes Benz repair cost today, contact any of our three locations.